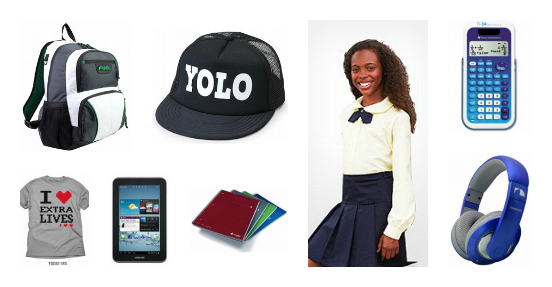 It's parents favorite time of the year, back to school! Doesn’t it seem like every year your kids get busier and busier? Last week I could barely keep my eyes open. I just couldn't adjust to my kid's new schedule and all the extracurricular activities they have signed up. As the years go by, activities get piled on and so do the expenses. Taekwondo classes, Boy Scouts, Beta Club, school band aren’t free. Unfortunately, neither are school supplies. With so much going on, your budget can get pulled in a lot of different directions. Fortunately, Kmart has savings on back to school so you can breathe easier. Pick up everything on their back to school shopping list from backpacks to gym shoes and the latest fall styles for less. The only question left is what will YOU do with the savings? I vote picking up something for yourself because it is a new year after all. 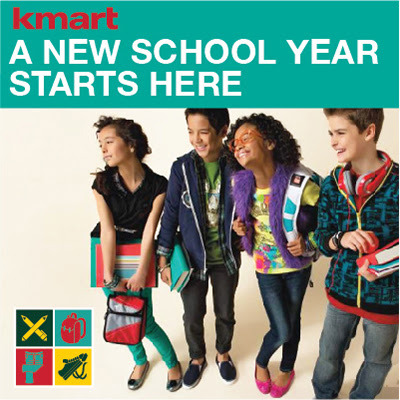 Check out the Kmart Back to School promotion, and follow along with @Kmart and the #KmartBackToSchool hashtag on Twitter for the latest in savings and style.